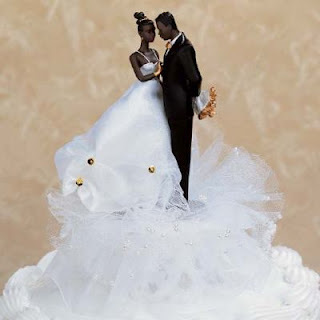 Sunday, March 25th, 2012 was Black Marriage Day. I was pleasantly surprised to find out that there was a national effort to spotlight this culture specific and much maligned institution called ‘Black Marriage’. Yes, it does exist. As a Black man who has been married for almost 12 years I was happy to know that such a day exist on the national calendar. My hope is that next year this day will not sneak up on us. A community is built from the ground up. There are essential building blocks that make up what we call a neighborhood or a village. If these pieces are missing it creates an imbalance that ultimately brings the whole construct crashing down. A key building block of community is marriage and family. The idea of family has taken an ideological hit in recent times. For many, it has simply become impractical and more of a financial decision than anything else. The ‘new normal’ consist of one parent households where the mother has assumed the role of educator, provider, protector and disciplinarian. No, I’ll refrain from bashing black men in this post—there is enough of that out there. I will come at the deficient value system which has been co-opted from the dominant culture. Some intellectuals have reduced marriage to a piece of paper provided by a state government. The post-modern idea of free expression with no consequence on the surface appears attractive, but in the end it leads to calamity for at-risk subdominant communities. The lack of marital standards within the African American community is a by-product of several things. I personally believe that blame belongs at the feet of adult black men and women—no doubt we [black folk] are ultimately responsible for our homes, communities, educational and religious activity. I will say that the full blame for the conditions of our communities is not totally our fault. I mention ‘homes’ first because it is a key piece of the puzzle. Take an on the spot unscientific poll of the urban households and you’ll quickly recognize that grand moms are the educators, providers, protectors and disciplinarians. There are so many grandmothers raising their grandchildren for any number of reasons—it has become the ‘new norm’. It is now acceptable that someone who has already raised their own children must now fulfill the role of caretaker in the twilight of life. Grand mom doesn’t get to enjoy her retirement years because she is either changing diapers or trying to get Rayqwan back into school after a suspension. From my vantage point we have pushed community development, education and civic activity, but have largely neglected marriage and child rearing. We ask our kids what do you want to be when you grow up? Although this question is meant to inspire, we tend to just push career, wealth and education. We neglect to discuss what it means to be a husband, wife, father and mother. It is simply not enough to provide materially for our children—in the end we create material monsters. Believe it or not, the skill set to be in a long term healthy marriage is not an automatic. I believe that modeling a good marriage is something that we need to do more of and we must do this in front of our children. Our communities are already riddled with homes intentionally designed to be fatherless. What if we took a break from organizing drill teams and block parties and decided to expose some young people to a home where a healthy marriage exists. I am specifically speaking about structural, systemic and historic racism. These forces impact to a large extent the tragedy that is often times described as black life in America.